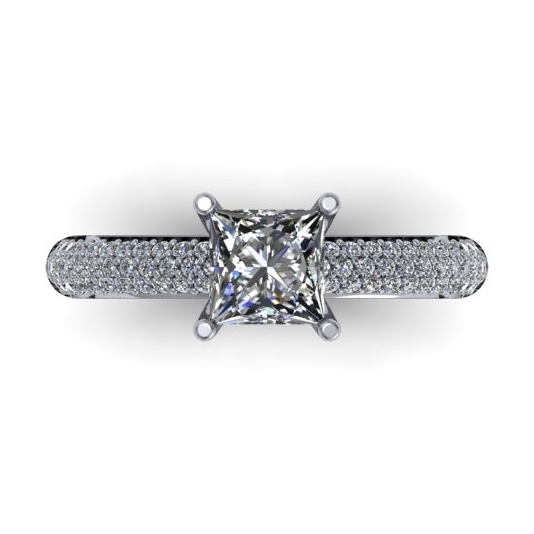 Shown here in 14kt white gold with a 1ct princess cut center (not included in price) and 68 small rounds equaling approx 1/4ct. This engagement ring starts at $2400.00 (center sold separately). This ring can be changed many different ways to make it uniquely yours.